My concern in not taking any action related to the possibility of a theft occurring again with another vulnerable older adult and my action to do nothing to prevent a repeat performance. Statistics show that elder abuse, whether financial or physical, happens daily across America. Few incidents are reported because of the perceived hassle and time involved and the older adult not wanting to get anyone into trouble, especially family members who have committed wrong. I was surprised to learn at the court hearing that the incident I reported was not the individual’s first offense. In fact, the individual was on probation from multiple previous similar offenses of theft. The caregiver showed no remorse as if being placed in the home of an older adult was an assumed opportunity to steal. One would wonder how criminal offenses on file could be missed by a caregiving agency. It was discovered, after the fact, that this in home caregiver changed the spelling of her last name slightly on her employment application. This small change somehow evaded her criminal background from being picked up by the company’s background check system. A repeated and corrected background check showed multiple offenses in multiple states over the prior seven years. In addition to lacking any recognition that theft was wrong, the in home caregiver told the judge she intended to return to the same line of work, in home caregiving, assuming release by the court. I addressed the judge with a summary of information written in the victim’s statement. Not only did I express concern about the vulnerability of trusting older adults but also that this individual should not be allowed to return to the same line of work or be involved at all with vulnerable populations of the elderly or children. The judge agreed and placed the individual on a timed probation with no employment in the caregiving industry for a period of time. While the police and the legal system may seem intimidating, in the end my effort was worth every minute involved. It was nearly six months from the time the theft was originally reported until the date of the hearing. At a minimum I felt that for some period of time, older adults and children, the population with which this individual preferred to work and to purposefully abuse would be protected. Since this event, individuals in the State of Colorado have worked diligently to pass elder abuse reporting legislation. Many professional caregivers working with the older population observe them becoming more isolated and vulnerable to individuals selling products, to phishing scams on the internet, to supposed friends or hired in home companion performing good deeds in return for cash or gifts of personal items and to mail sweepstakes or promises of lottery winnings. As uncomfortable as it may be, I believe there is a duty to report these issues so they do not occur again to another vulnerable older adult. 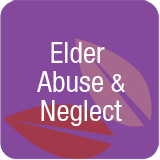 Elder abuse events are significant personally and financially. Another client of mine lost his home because of sending cash available from a second mortgage to Canadian lottery companies. He eventually became unable to pay his mortgage and monthly bills that exceeded his monthly income. Another client, somewhat superstitious, wrote 200 checks in a single day, emptying her bank account, to psychics and charities promising winnings or reporting that they badly needed donations. Her response was that she felt bad about the starving children and abused animals and that the psychics told her that if she didn’t send them money horrible events would occur in her life. Statistics indicate that the majority of elder abuse crimes are not reported. It’s up to us all of us who support older adults professionally to change this statistic.